JOIN us & maybe see your wealth grow fast / courses coming ? RISK WARNING : Options trading, and especially SELLING of options Short, is very Rsky. 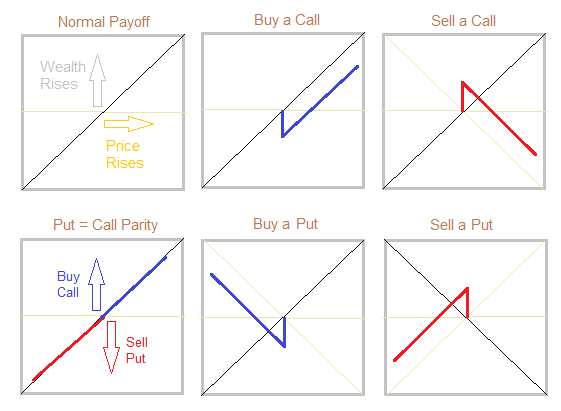 If you do not fully understand these strategies, I suggest you do extensive "paper trading"
Before any actual trades which may put your money at risk. (( more: No crystal ball. And when you buy an option, your entire premium may be at risk. 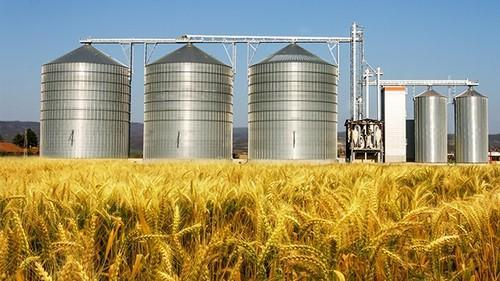 + I believe in the idea of Diversifying risk, so I want to organize the main part of my Investment portfolio into smaller mini-portfolios, which I call "Silos"
The idea here is diversification where the assets in a single silo are unlikely to be contaminated by any loss in another silo. There should be a low correlation between the assets in one silo and those in the others. + When an options trading strategy goes well, it might be a sort of "seed" growing over time to a point where it can become another productive, cash flow generating Silo if trading goes well. + My mid-term target will be to sell 50-100% if HK rises to $31+, a 50%+ gain from $20. (A core part of my investing approach. These strategies assume some knowledge of Options & Options trading techniques. If you do not have that, I will provide more Options material later. b. Buying Power might be 30-50% (or more) of the Market Value of "eligible assets"
Face Value of Options sold. get $6 cash, and you will need BP of $6, + maybe 35% of $14, so: perhaps $11 BP. It is rather nice to "borrow" money in this way, pay no interest, and only have to repay less than 2/3 of the original amount. However, for this to work, I have to get my stock select right, and also have good execution. Often, that is not easy! 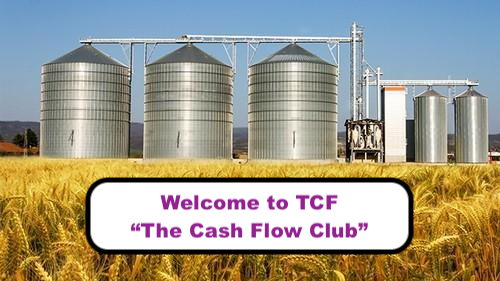 Invest most of your Wealth in good Cash Flow producing Silos. Virtual-Silos using PUT options Sold, to finance the purchase of CALLS. (Good option trades will not be available every day. Maybe just 2,3 or 4x each year. (or anticipated day-to-day change in price.) High beta stocks will move more than low beta stocks. With this Concept in mind. Let's consider what options are. Obviously, if you expect a stock to go up, you want to own a Call. And if you expect it to drop, you want to own a Put. If options were free, everyone would want them all the time. But they are not free. So what do they cost? The SILO strategy in HK Property stocks is going well. I aimed to make 4% a year (in HKD). To shrink the “HK Silo” portfolio, moving into cash. Perhaps I could talk for an hour or so this Saturday or the Saturday after. (I feel pretty lucky since: some months ago, Philippines was the hottest property market globally. And now Philadelphia is the "hottest new market" in the US. Those are the two I invested in. What led me to these two? High yields. BUY Calls on three high-beta components, all Oil Drillers, when they were cheap. I need to adjust for Time Value slippage on the OIH puts. 'making a profit on OIH Puts of $6,770, rather than the $9,206 shown above. That 41% gain is on the Notional portfolio value. BUYING NGD/Newgold Feb.$0.50 Calls was an end of the year trade. A bit like the Oil Service stocks*. Many were Selling during December to lock in Tax Losses. That pressure ends completely in the new year. And those who sold earlier may re-enter the stock, locking in a tax loss, and to establish a new position at Lower cost. By retaining half of my Feb.$0.50 calls, and selling $1.50C against them. I have attractive potential returns. 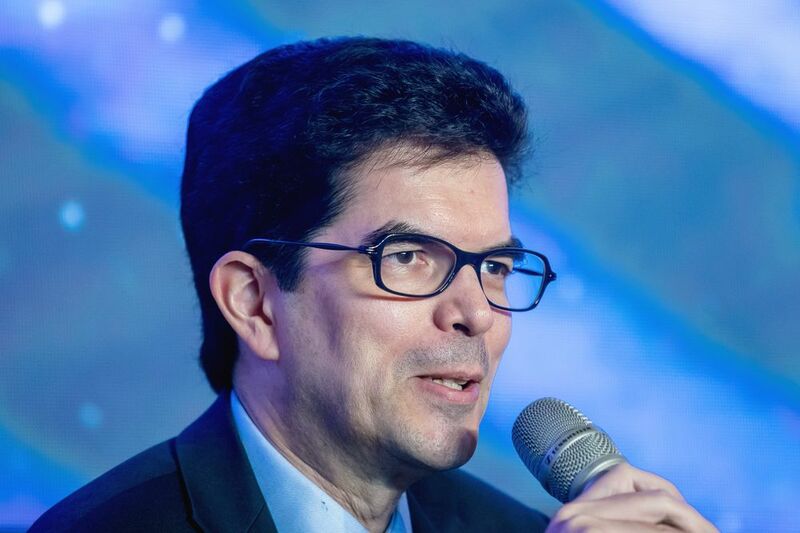 David Webb, activist investor who has earned about 20 percent a year from his personal investments in Hong Kong shares since 1995, explains why has advised readers of his widely followed website to avoid more than 75 of the city’s publicly traded companies -- several of which subsequently became targets of the largest-ever raid by the securities regulator. He speaks with Rishaad Salamat and Yvonne Man on "Bloomberg Markets: China Open." 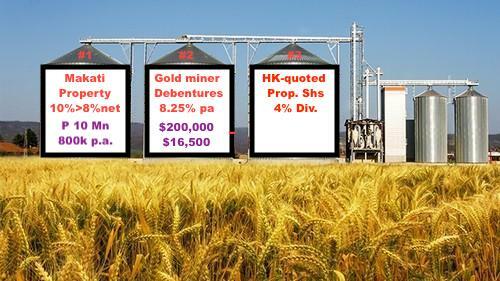 It presently holds four key positions, mostly Mining related: Cash, WM.t, ROXG.t, AAU and GZZ.v. YE '16: $ 6,164: + 327% p.a. YE '17: $ 6,845: + 11.0% p.a. YE'18: $10,857: + 58.6% p.a. TOP 4 / are Not Option trades... Here are my Top 4 Positions right now. Do not think MUX will suddenly "take fire". It might, but I cannot promise that. I looks weak now. The gap down on disappointing Employment figures may have taken the energy of of the slide. SOXX opened much lower ($176.56) and is now well off its lows as SPY & IWM retest lows. That's a good profit. If you don't mind me asking, how much money do you typically risk on option plays? Since they can expire worthless, I'm guessing you don't bet too large just in case. I see, very illuminating, thanks. I'm not going to pretend to be able to match what you're doing but it's still incredible watching a master at work. A trading wizard perhaps? It is great to be back in the trading groove these last few months. I have been in one or two for long periods in the Past. And that helped to win me a place in a book, the UK version of Trading Wizards. If you have a copy, you may be able to guess what chapter is about me and my techniques. Unfortunately, for various reasons, I lost focus for some years. But I now feel like I have my trading mojo back. And I am aiming to keep it be trading with less risk, and refining my techniques so I can teach them to others. Perhaps some reading here will join me in that adventure. I have watched others do it, and participated a bit in their teaching. Ok! 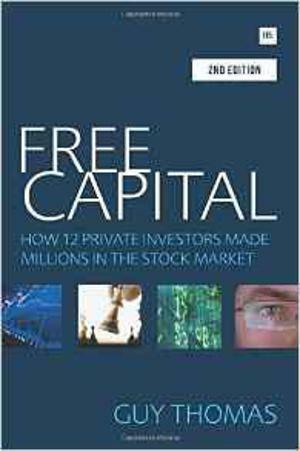 Just bought a copy of Free Capital and will spend today figuring out which chapter is about you! Did you teach Victor Nie﻿﻿derhoffer﻿? haha. hardly, however, I watched him play squash at the Harvard Club years ago. I finally got the time today to sit down with the book. It was pretty much a giveaway which chapter was referring to you. I am impressed by your career background. The investment history and advice is also good. I will also pick up Niederhoffer's book on your recommendation. I have a feeling it will be as instructive as Livermore's classic. Hardly. He's few years older. And in reading his book, I thought of him as one of my many mentors. I will be getting 20% plus yield on my investment, using an customized Options-related strategy. How? By Selling Puts & Buying Calls, I started out with a tiny debit, only 9 cents per Call option. My Call exercise price is just $4, or just 68% of Wed.'s closing price of $5.87. I got a good price on the options, by Using a News-related Price drop, as a buying opportunity. 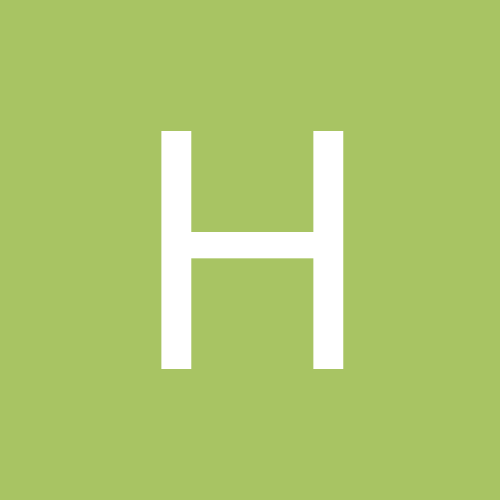 Here is the NEWS item: "Pennsylvania REIT stock price target cut to $5 from $7 - at SunTrust RH"
This news was reported on MARKETWATCH : @ 7:19 PM ET 03/19/19. That was AFTER the market close on Tuesday. The PEI stock dropped in early Wednesday, 3/20 trading. My Option order was triggered on this drop. The chart below shows the action in PEI for 10 trading days, up to & including Wed. 3/20. The Wed price drop was down to $5.70. My order was triggered near the end of the 20 cent price drop. I intend to exercise the Apr.$4 Calls, and collect the May Quarterly dividend, & probably the August dividend too. Until October, when I will have to face possible exercise of the $7 Puts. With luck, PEI may be above that level then. If not above the $7 Put exercise, I can sell some of my PEI shares to cover buying back the $7 Put. WORST CASE RISK: If the dividend is cut, then I may find the $7 Puts are exercised early, and my $4 Calls/Shares will lose value. Phase 1: Pay a Debit of 9 cents ($0.09 x1000 = $9 per Call = $90 for 10 calls), which I will more than get back from divs, if paid. DETAIL: a Credit of $1.70 per Oct.$7 Put sold / a Debit of $1.79 per Apr $4 Call bought = Net Debit: $9/ct. x10 Cts= $90. My intention is to exercise the $4 Calls in April, prior to the April.18th exercise date, so I can collect the $.21 Quarterly dividend. to cover the $1.56 Loss on the $7.00 Puts, when I buy them back. If PEI is above $5.44, I should have a profit. with an adjustment downwards in the breakeven price if/as the Time Value of the Oct. $7 puts declines. less that that initially, and faster towards the end. But TV will also rise if PEI stock rises towards the $7 strike. How much BUYING POWER do I need for this strategy? Then, I will be long 2,000 shares, at an average cost of about $5.55 ( ie. $4.09 + $7.00), less the dividends received. In Thursdays' trading, just finished, PEI rose $0.21 (+3.58%) to $6.08. Another possibility would be to sell $6.50 calls, and use the proceeds to buy back some portion of the $7 Puts. Thus, if I sell the Oct $6.50C at $0.60, and buyback the Oct $7P at $1.25, that will mean a debit of 65 cents or $650 on 1,000 shs. I would be technically naked short on the calls, and so would want to be sure to exercise the Apr. $C before they expire. If the Oct $6.5C are not available, I can sell Oct $7.00 calls, at that time.